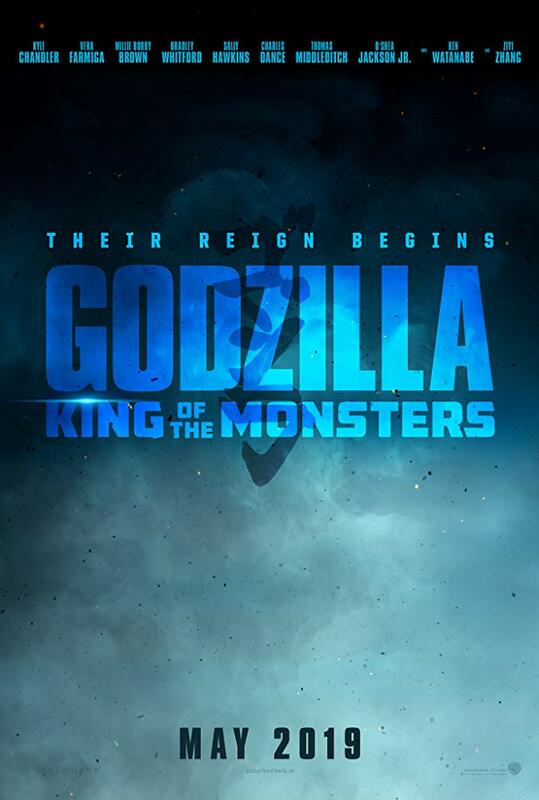 The next chapter in Warner Bros. and Legendary Pictures' cinematic MonsterVerse comes an epic action adventure that pits Godzilla against some of the most popular monsters in pop culture history. Directed by Michael Dougherty, this will be his third directorial effort, with Krampus and Trick'r Treat being his first two directed efforts. But his resume of scripts he's written include X-Men: Apocalypse, Superman Returns, and X-Men 2. The cast includes Bradley Whitford, Millie Bobby Brown (Stranger Things), Vera Farmiga, Sally Hawkins, & Kyle Chandler. This trailer looks like humanity is in a very bad place if all the monsters are starting to come to life. This isn't the Godzilla movie we grew up on as kids as all the monsters live on one island far from man... no, this one looks like a apocalyptic kind of film! Now... it also looks like we might get to see more of the big, fat (too fat?) lizard this time around. Sure, the first film that was directed by Gareth Edwards (An awesome director) ONLY had about 18 minutes of 'zilla in the film, but that story was about the people. Much like his very first indie film he ever put together, Monsters (2010).